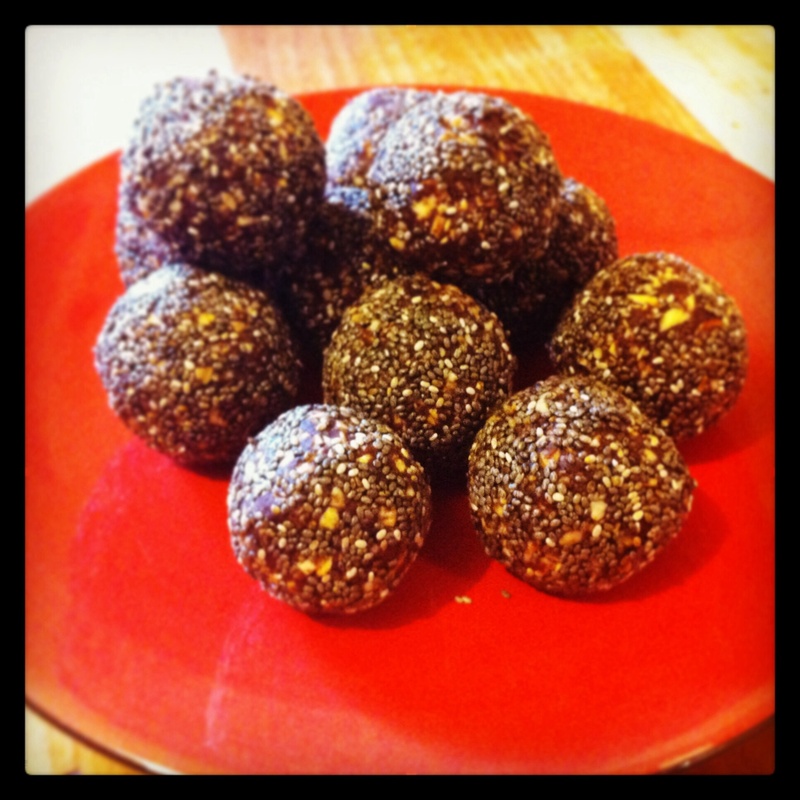 Bliss balls are currently my favourite easy-to-make healthy snack for munching between teaching Yoga sessions! There are loads of recipes around the net for bliss balls. You can experiment with different nuts & seeds, and you can make these ones without oats, or with dried berries instead of cocao. They’re highly adaptable & fun for kids to make too. 1 cup medjool dates, soaked in water for 15 minutes and then drained. 1 & a half cups of nuts (cashews add sweetness & almonds or hazelnuts are nice to mix in too). Blend everything in a food processor (the nuts & oats can be blended a bit on their own first for better consistency). Shape into balls and roll in seeds of your choice e.g. chia seeds, sesame seeds, or even finely shredded coconut instead. I expect they’d keep in the fridge for at least a week or even two but I wouldn’t know because they never survive that long!